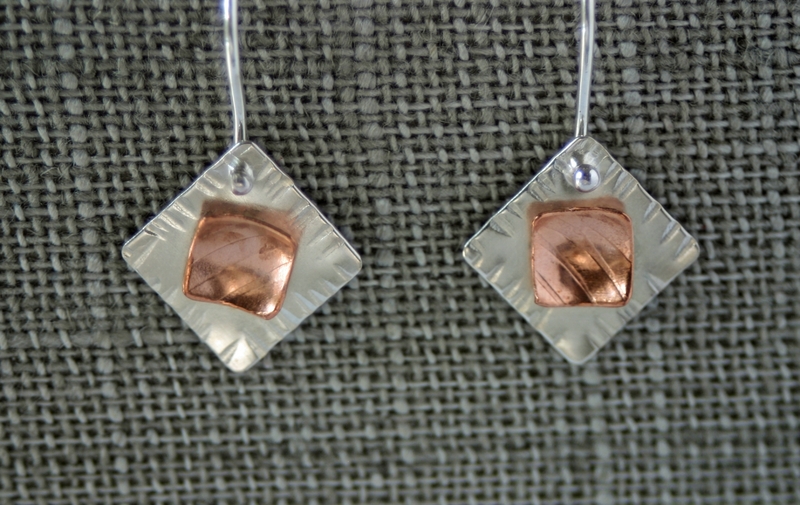 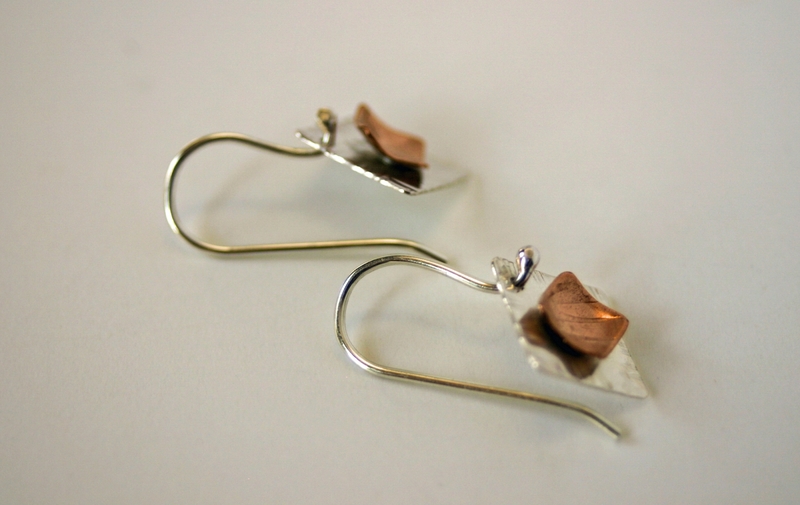 Contemporary styling in copper and sterling silver. 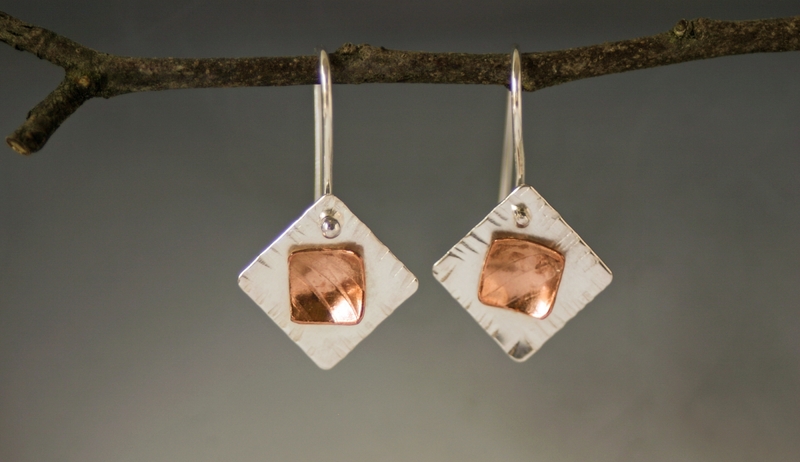 Hand cut and hammer textured, these geometric shapes are layered for interest. 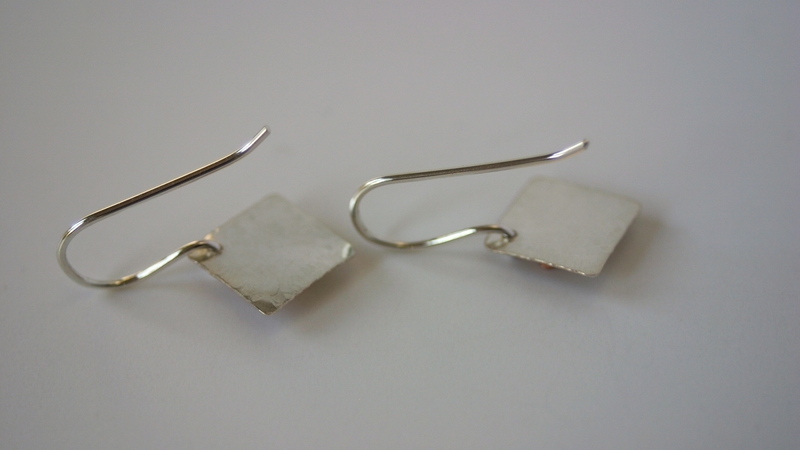 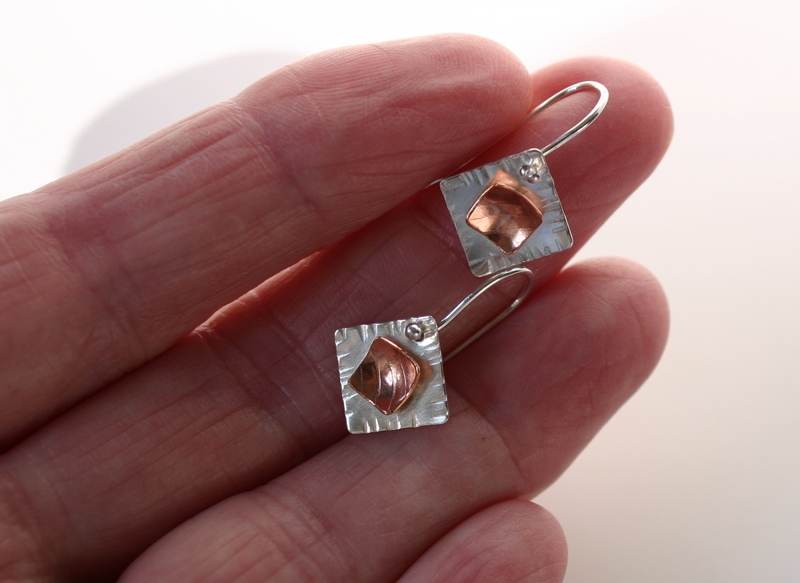 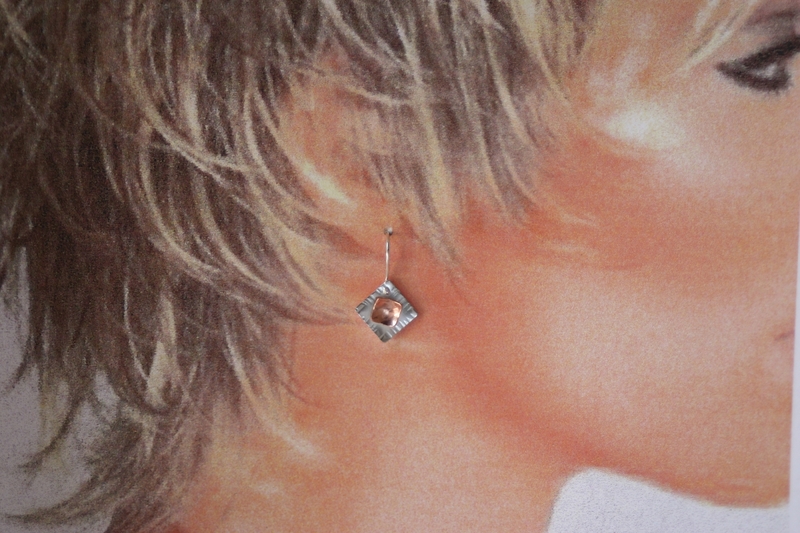 1/2" wide by 1/2" long, they hang on handcrafted sterling, nickel free earwires. 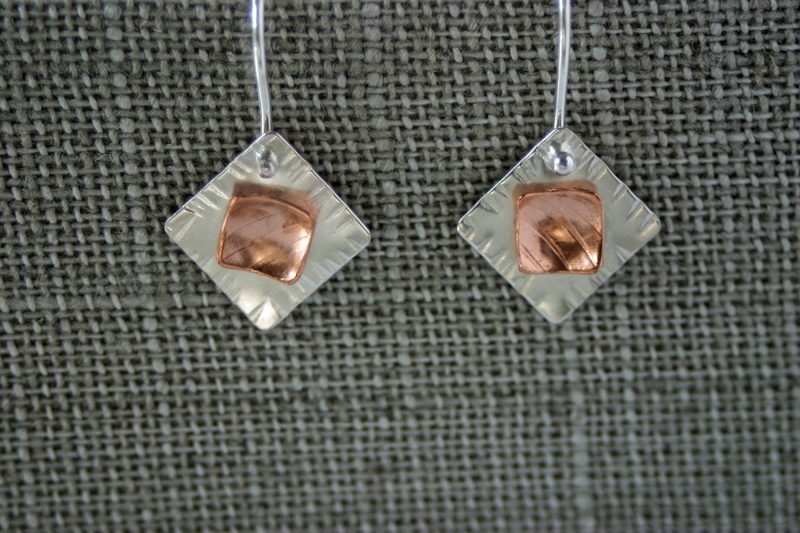 Feather light, they mix easily with your other silver, copper or even rose gold pieces. 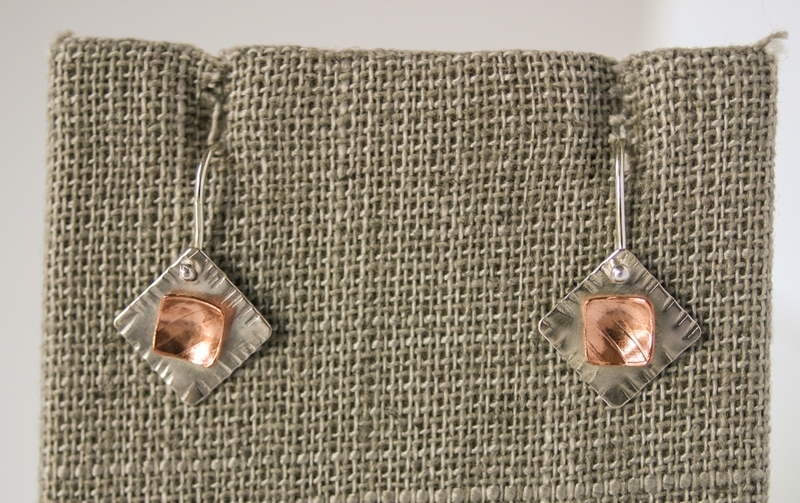 Other sizes/metals are available, just contact me for details. 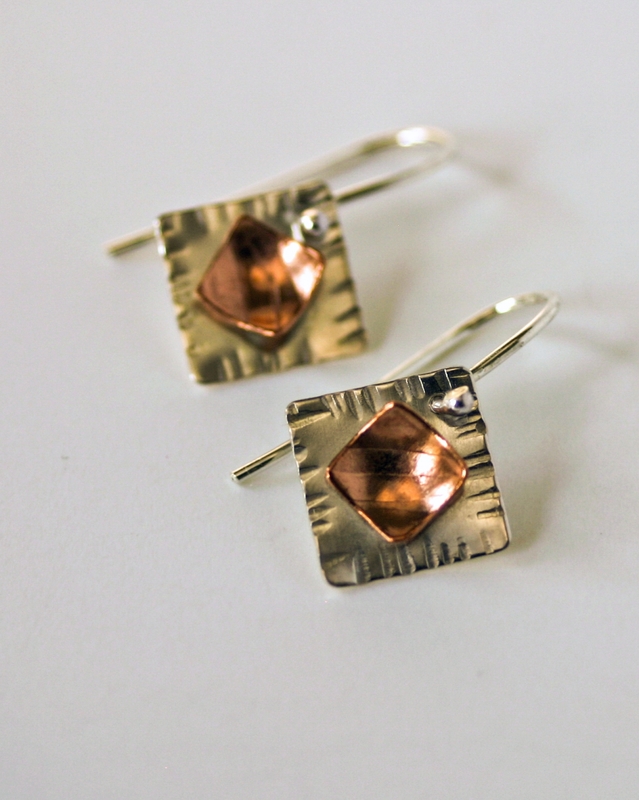 A lovely choice when you want something just a little different.